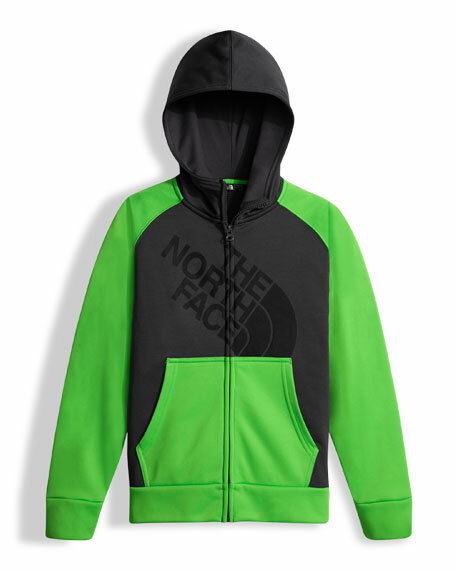 The North Face "Surgent" colorblock hoodie with tonal front logo. Hooded collar with Reaxion Amp jersey lining; zip front. 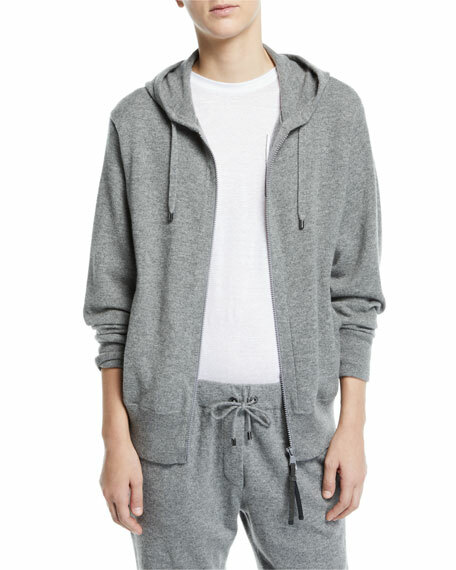 For in-store inquiries, use sku #2333589.
adidas by Stella McCartney striped hoodie. 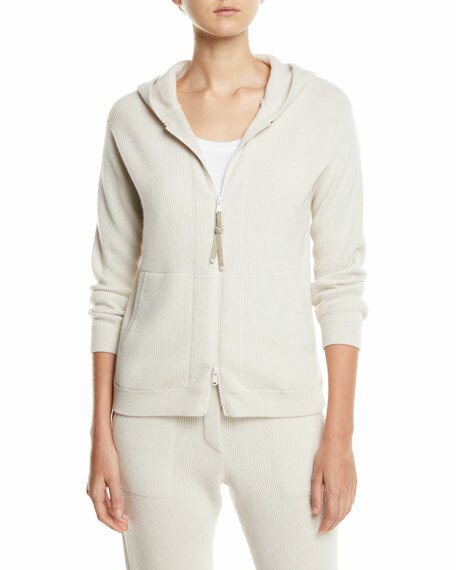 Hooded neckline; quarter-zip front. Long sleeves; dropped shoulders. Relaxed silhouette. Pullover style. Cotton. Imported. Model's measurements: Height 5'10"/177cm, bust 33"/84cm, waist 25.6"/65.2cm, hips 35.8"/91cm, dress size US 2-4/FR 34-36. Brunello Cucinelli jacket in cashmere. 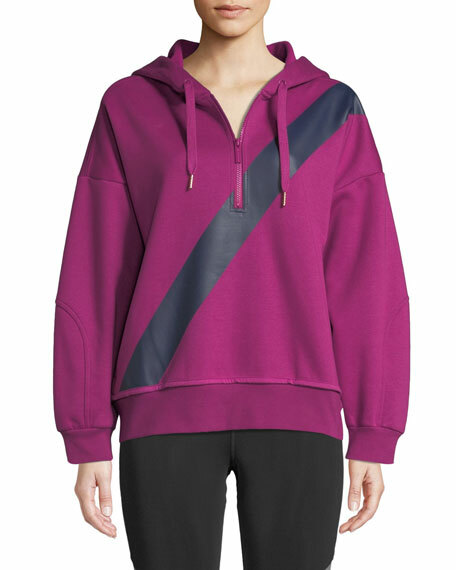 Drawstring hooded neckline; zip front with monili zipper pull. Long sleeves. Relaxed fit. Ribbed hem and cuffs. Made in Italy. Model's measurements: Height 5'10"/177cm, bust 31"/79cm, waist 24"/61cm, hips 34"/86cm, dress size US 0/2. Brunello Cucinelli jacket in ribbed cashmere. Hooded neckline. Double-zip front; monili-beaded zipper pull. Split kangaroo pocket. Semi-fitted. Hem hits hips. Made in Italy. Model's measurements: Height 5'11"/180cm, bust 32"/81cm, waist 25"/64cm, hips 36"/91cm, dress size US 2/4.